Sister Lunch Ladies Accused of Stealing Nearly $500,000 in Lunch MoneyThey’re accused of surreptitiously pocketing almost half a million dollars over the course of five years. Rep. Esty Forced to Retire After Scandal Over Abusive StafferThe Connecticut Democrat’s political demise was quick, and could even open up a rare 2018 opportunity for Republicans. Tour the Home of a Family of 3 — and 31 DogsBroadway’s go-to dog trainer Bill Berloni has a 90-acre plot with ample room for his extended canine family. 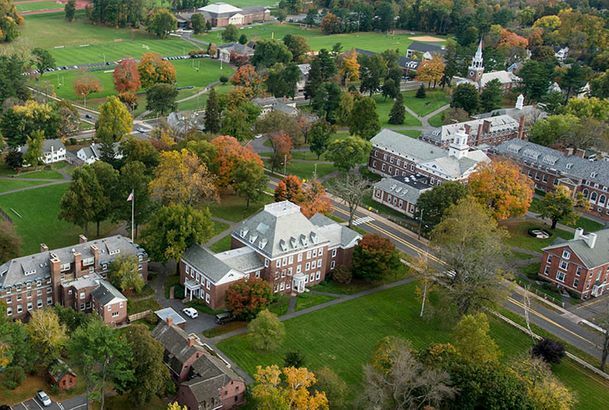 New Report Reveals Decades of Sexual Abuse at Elite Connecticut Boarding SchoolChoate Rosemary Hall says at least 12 former teachers sexually abused students. Coyote Almost Attacks a Girl Walking Home From School in ConnecticutNot the first sighting this year. Employee Fired for Posting Anti-Police Tirade to Pizzeria’s InstagramReferring to policing as a “gang activity sanctioned by oblivious taxpayers” might not sell more pizzas. Watch a 15-Person Battle Royal Break Out at Chuck E. Cheese’sA nearby senior suffered a panic attack, and two little kids got hit. Semiautomatic Assault Weapons Still IllegalJudges said it was a matter of public safety. ‘Aunt From Hell’ Says She Sued Young Relative to Access Homeowner’s InsuranceCould the outrage police have gotten this one wrong? Dunkin’ Donuts Employee Tells Police Officer, ‘We Don’t ServeSo far, though, the worker still has her job. Man on Fire Found on Top of Metro-North TrainHe survived. Drunk Dude Mistakes Stranger’s Bed for a Bed in His Mom’s Apartment With disastrous results. The Restaurant From Mystic Pizza Apparently Owes $100K in Back WagesThe now-famous pizza spot paid employees as little as $5.69 an hour. Metro-North Delayed by Box Painted Like Bender It could have been a bomb! Train Nearly Takes Out Senator During Safety Press Conference Accidents aren’t always the train’s fault. Kennedy to Run for Elected OfficeThis time, it’s Ted Jr.
Connecticut Becomes First State to Raise Minimum Wage to $10.10 an HourThe change will happen incrementally. Four Dead in Particularly Scary Connecticut Murder-SuicideThe shooter was carrying a baby. Connecticut: Refuge From De Blasio’s DystopiaAccording to a political ad in the Connecticut gubernatorial race. Chloë Sevigny Wants You to Know She’s Still CoolWe know. WE KNOW. Was This the Worst Field Trip in the World, Ever?What a terrible, terrible idea. Connecticut Home Explodes, Leaves ‘Scorched Crater’Just a reminder that your house might explode at any moment. Connecticut Woman Arrested for Keying Six Cars, But the Crazy Part Is …… she’s 73 years old. Busted Carnival Ride Sends Thirteen to Hospital in ConnecticutThankfully, most injuries seem minor. Raccoon Hunter Accidentally Shoots Self While SneezingHe’s okay, so you can laugh. Connecticut Residents Somehow Survived Cable Outage No thanks to the jerks at 911. Connecticut Plane Crash Victims Identified 54-year-old Bill Henningsgaard was flying his 17-year-old son Max to visit colleges. Small Plane Crashes Into Connecticut NeighborhoodThe pilot and two children are unaccounted for. Newtown Is Officially Done With Sympathy FreebiesTrying to move on. Connecticut Approves First Broad GMO Labeling Bill; New York Rejects AnotherSeedy business. Here’s How to Navigate Your Connecticut Commute TomorrowWhile crews rebuild 2,000 feet of track caused by Friday’s derailed train. Dozens Injured in Connecticut Train Crash; Northeast Service Suspended [Updated]Metro-North and Amtrak might not be running until the beginning of next week.